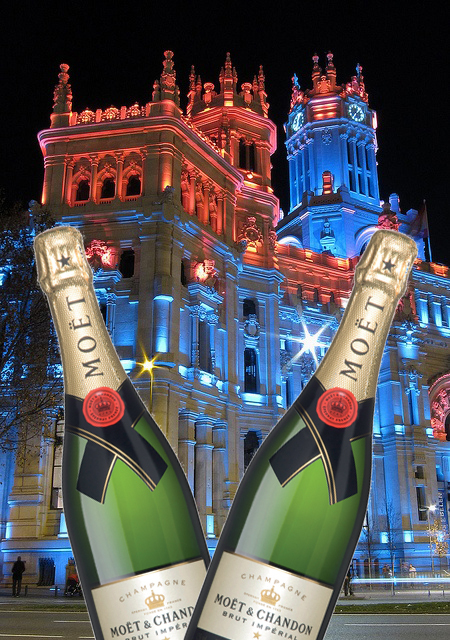 Riot For Design: The Rain In Spain Is Mainly From Champagne! The Rain In Spain Is Mainly From Champagne! Thursday night the Huz and I are off to Madrid for a long weekend of celebrating my 30th! 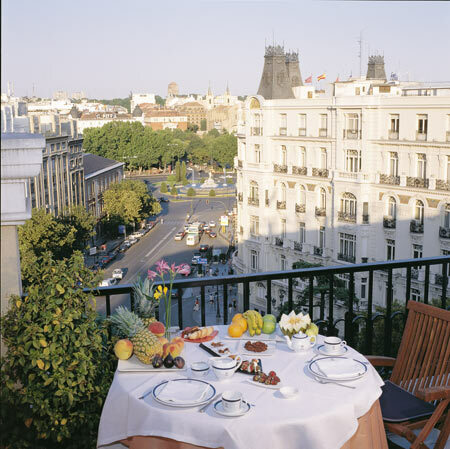 I can't wait to visit the renowned art museums of Madrid, drink and eat my way through the city, hunt down some cool Euro flea market finds and just soak it all in! And I can't think of anyone I'd rather spend it with than my wonderful, sweet husband. Some people might like huge bashes for their birthday, but all I need is a hot man and a cold glass of champagne. Here's a pic of the balcony of the hotel we'll be staying in. When Jon and I visited Barcelona a couple years ago one of our favorite memories was drinking cava and eating pastries on our balcony. I am officially making this a Spanish tradition. Where should we go? What should we see? Just because I'm 30 doesn't mean I'm all of a sudden cured of procrastination. I'll be putting together something resembling an itinerary tomorrow so let me know what needs to be on the list!